It is now Day 6 of DL and NVIDIA’s Two Weeks of Holiday Tegra. You still have five days to win yourself a nice present this holiday season that runs on Google’s Honeycomb OS all powered by NVIDIA’s Tegra 2 processor. 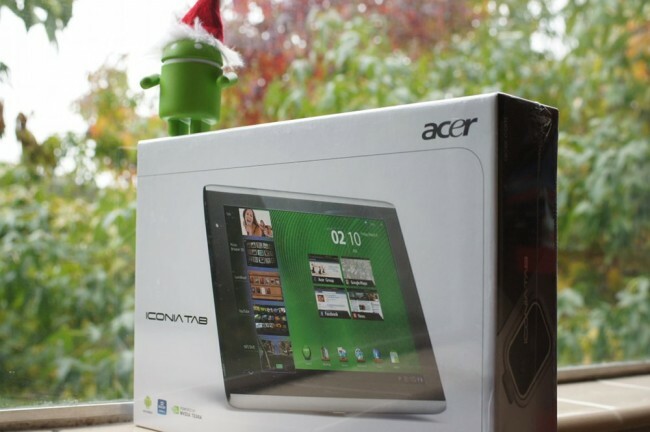 This time we’ve got the Acer Iconia Tab, a 16GB, Tegra 2, dual-camera, WiFi beast that many people have been sleeping on. In the long list of Android tablets available on the market, the Iconia can most definitely hold its own. Who wants it? Sasquachh says that Android has the best selection of apps, programs and gets the first updates and upgrades on the market. 1. In the comments, If someone asked you why they should switch to Android, what would you tell them?